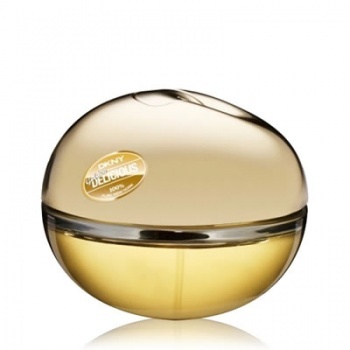 DKNY Golden Delicious Eau de Parfum is a luxe scent that radiates lavish seduction. The most regal apple of the DKNY Delicious collection. 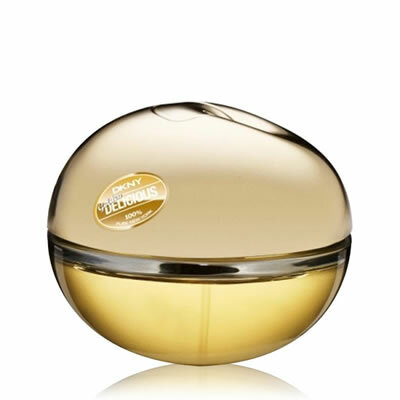 DKNY Golden Delicious has an elegance that is reserved for the most discriminating taste. It's tempting, sensual and warm with golden delices' apple, orange blossom and Mirabelle plum, an opulent floral heart of white roses, Casablanca lilies, lily of the valley and vanilla orchid, while base caresses with notes of musk followed by a sensual woody trail of sandalwood and teak..